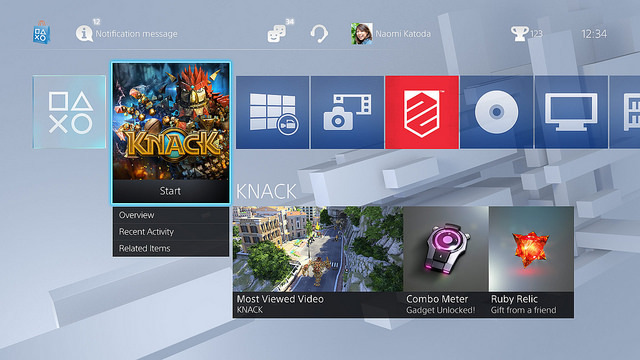 The PS4 will receive system update 2.0, codenamed "Masamune," in the near future. This patch will make some much needed changes, such as redesigning the user interface for the console. 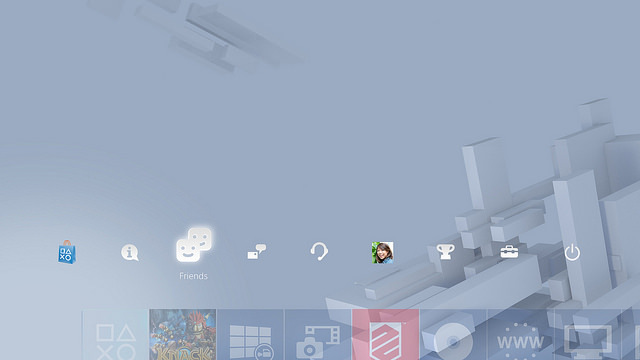 The main dashboard on the PS4 is finally getting an overhaul. It will now show 15 of the player's most used apps or games. Players can find everything else in their Library, which can be sorted and filtered by content type, name, install date, or recently used. It's not as flashy of a change as Share Play but it'll do nicely. 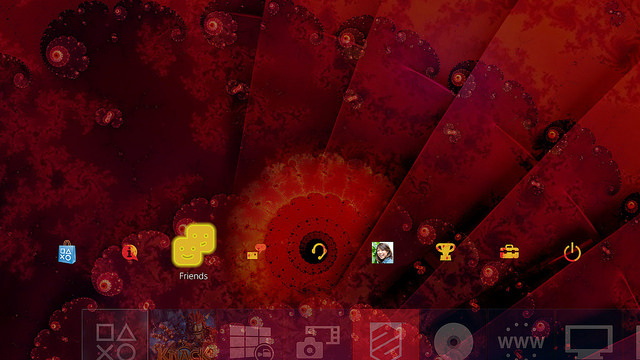 Players will have new options for personalizing their home screen as well. 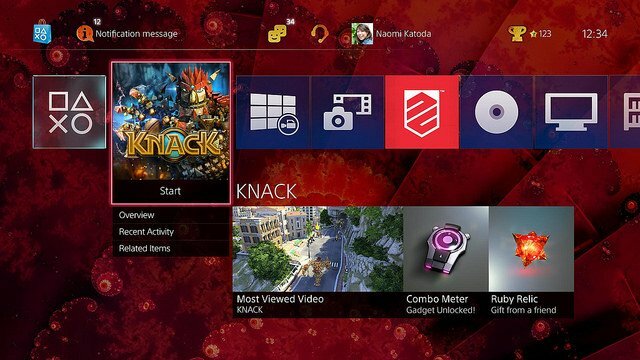 Sony previously revealed that Update 2.0 will add custom themes. Today they announced that the background color can be changed from the default light blue to one of seven new options: gold, blue, red, green, purple, pink, and gray. 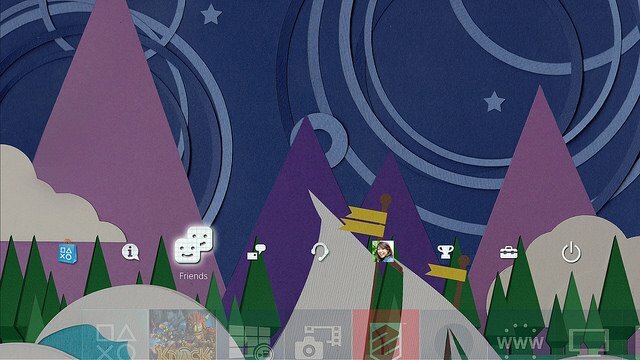 If PS4 owners want a custom soundtrack, they can do that with an external device. The system update will add support for USB Music Players with MP3, MP4, M4A or 3GP music files. 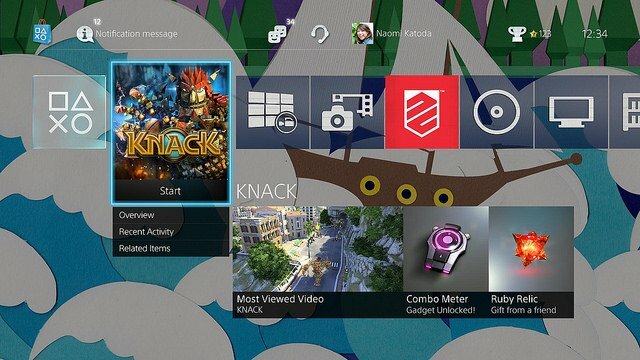 Upon connecting the device to your PS4, the option will pop up on your home screen. USB devices can also be used for data storage. Files like saves, settings, screenshots and video can be backed up to these external devices. Live broadcasting will be enhanced in a few ways as well. A new Featured channel shows official PlayStation broadcasts as well as players' friends or followed channels. The Live from PlayStation app will also let you filter broadcasts based on specific games once the patch is live. The voice commands "Start broadcast" and "End broadcast" will make it easier to host streams of your own. PS4 owners will be able to place free PlayStation Plus games in their collection without actually downloading them. Each of these games will have an "Add to Library" button in the PlayStation Store. This ensures that players will be able to download these games well after they've been removed from the PlayStation Plus collection. If I had my druthers, PS Plus subscribers would have these games added to their Library automatically but this is a good step in that direction. The PS4 update will arrive alongside a patch for PlayStation TV and the Vita. Update 3.35 will introduce four-player Remote Play to PS TV. Furthermore, both PS TV and Vita will be able to check out gameplay streams from PS4 owners through the Live from PlayStation App. PlayStation's official mobile app will be updated to version 2.0 around the time these other patches go live. The app's home screen will be revamped. Tablet users can look forward to a new interface altogether.